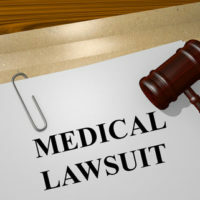 Medical malpractice cases all start from a similar place – a person with a medical complaint or injury attempts to obtain treatment from a doctor, and instead of providing relief, additional harm is caused. Medical providers lie at the heart of these claims, and as well as being the defendant in the case, are needed to act as medical experts to prove that negligence occurred. These experts are needed throughout the malpractice case, which can span years, to serve as the foundation for the underlying claim. In addition to doctors, it is not uncommon in medical malpractice cases to have rehabilitative and vocational experts that provide evidence and testimony on an injured plaintiff’s ability to recover from the injury and return to work. Florida law stipulates the qualifications a medical expert must have to provide an opinion on the appropriateness of the defendant’s actions. However, judges ultimately decide if a proposed medical expert is qualified to testify at trial, and other than the testimony of victim, these experts commonly present the most powerful evidence a jury will use to decide the case. How judges are supposed to evaluate whether to allow expert testimony was written into Florida law in 2013, but a personal injury case currently in front of the Florida Supreme Court could see the standard for admitting expert testimony revert back to the old standard, which is less restrictive. An overview of the two different standards for admitting expert testimony, and how the court’s decision could affect injured plaintiffs, will follow below. the witness appropriately applied the principles and methods to the facts of the case. Medicine is developing new drugs and treatment protocols all the time, making it difficult to build a large body of supporting data while they are being developed. The current standard for admitting expert testimony can make it hard for injured plaintiffs to introduce evidence about new or novel forms of treatment that could have prevented the injury. Further, there are other treatments known and accepted in the medical community that do not necessarily have lots of empirical support because they do not lend themselves to examination in controlled studies due to their cost or other impracticalities. Going back to the old standard would remove some these obstacles, and allow injured plaintiffs a greater ability to bring important information to the jury’s attention. Medical malpractice cases are notoriously complex, and require representation by experienced medical malpractice attorneys to have a decent chance of success. The Miami law firm of Pita Weber Del Prado handles a variety of medical malpractice claims, and is available to evaluate the merits of your case. Contact us for a free consultation.